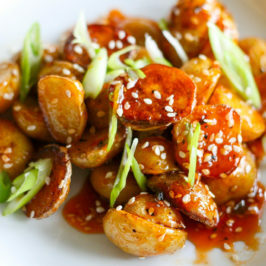 While in India I was introduced to one of the yummiest things I have ever eaten – “honey chili potato”. 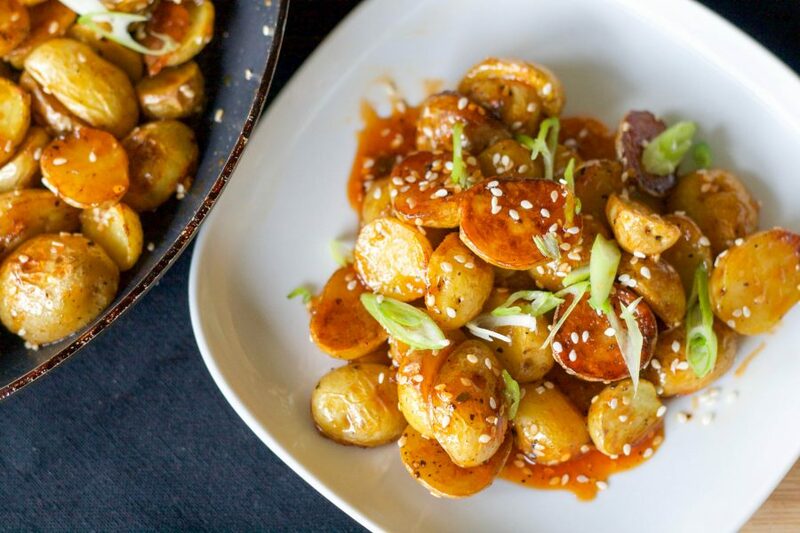 I was at a restaurant, stuffed to the brim from an amazing veggie curry with garlic naan bread but after one taste of these honey chili potatoes, I just couldn’t stop. This dish normally uses french fries as the base but I wanted to lighten things up and avoid the deep-fryer. 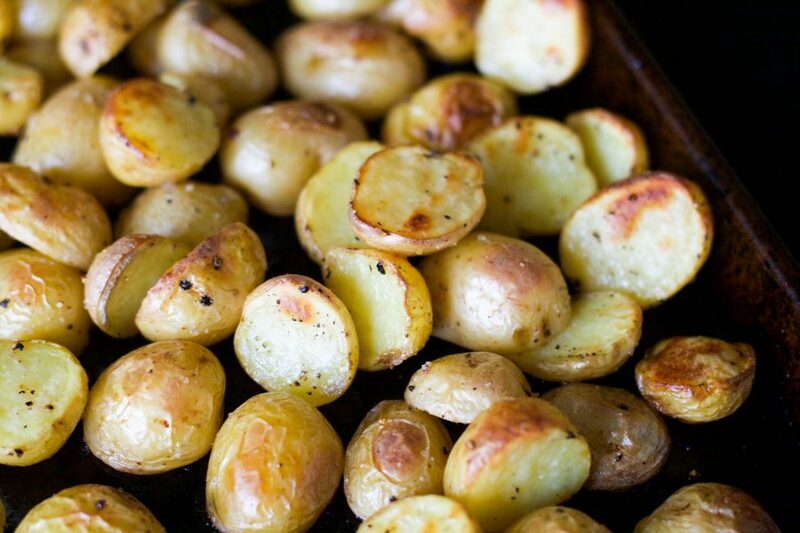 Simple, roasted potatoes do the trick as they still get nice and crispy on the outside and stay fluffy on the inside. 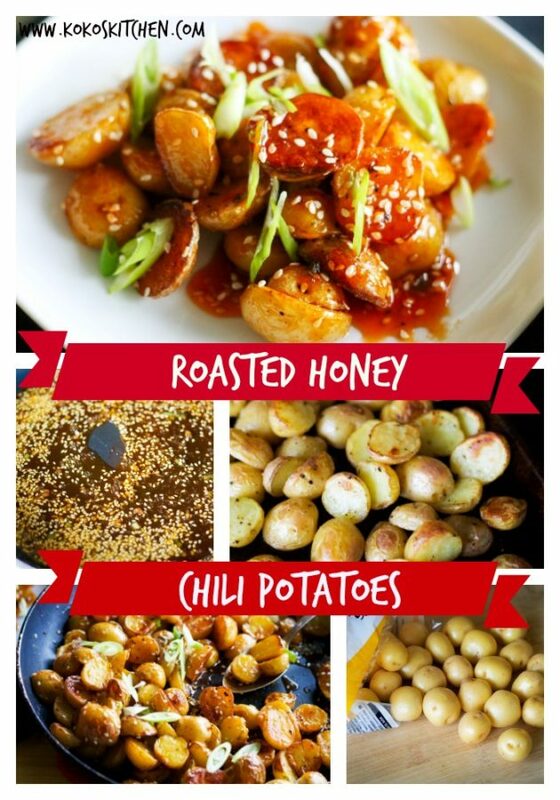 A recipe inspired by the 'honey chili potato' I had the pleasure of indulging in while travelling in India. This take ditches the deep-fried french fries and uses perfect, crispy, roasted potatoes instead. Be sure to slurp up all that sweet and spicy sauce! 2-3 tablespoons sriracha depending on how much spice you like! 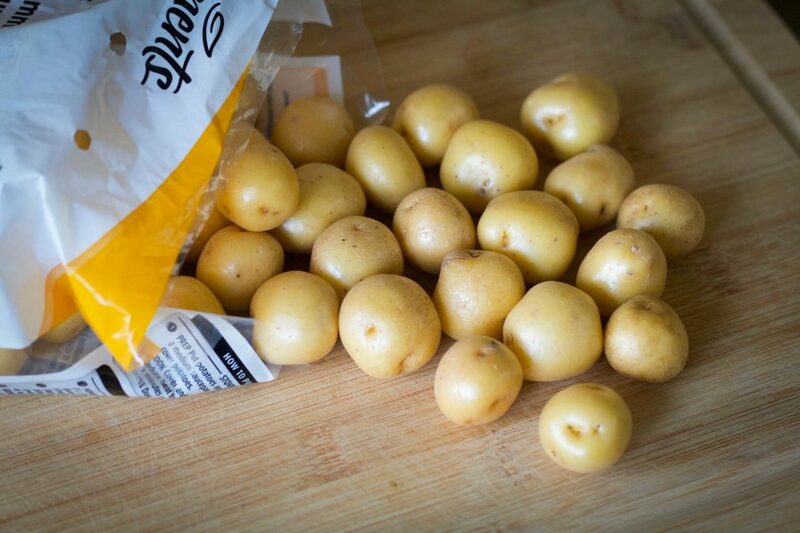 Toss the oil, potatoes, salt and pepper together and spread out in an even layer on a baking tray. Bake for 30 minutes, until golden brown and crispy, tossing once halfway through. When the potatoes are about 5 minutes from being done, grab a frying pan and heat the remaining coconut oil over medium heat. Saute the garlic and two of the green onions for one minute. 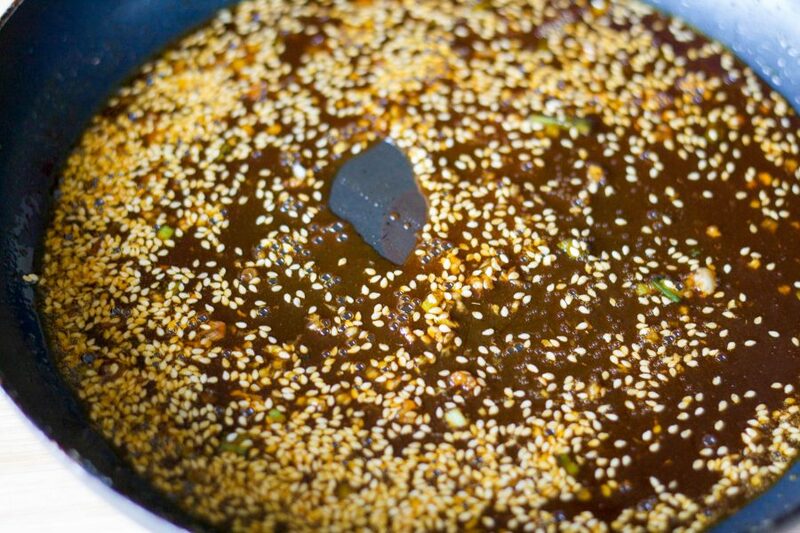 Pour in the honey, soy sauce, chili sauce and sesame seeds and stir until well combined. Cook for 2-3 minutes until bubbling and fragrant. 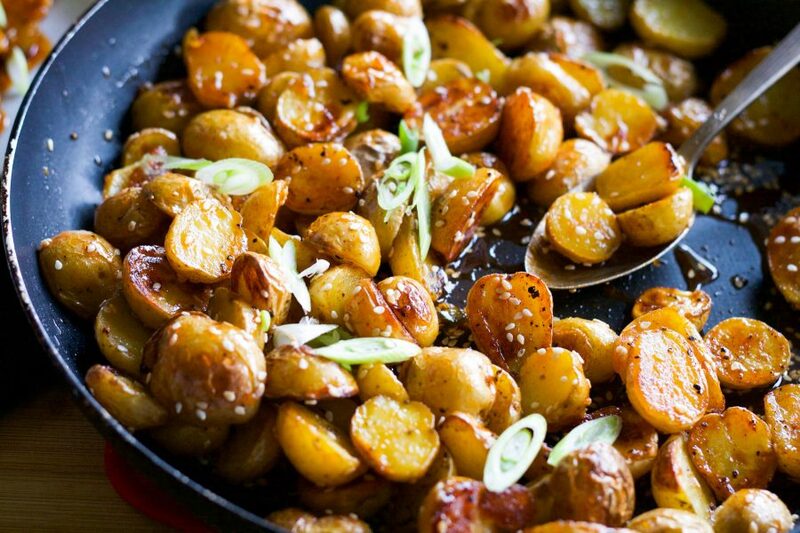 Pour the roasted potatoes into the pan and toss thoroughly with the honey-chili sauce. Let the sauce coat all of the potatoes and reduce for a minute or two. 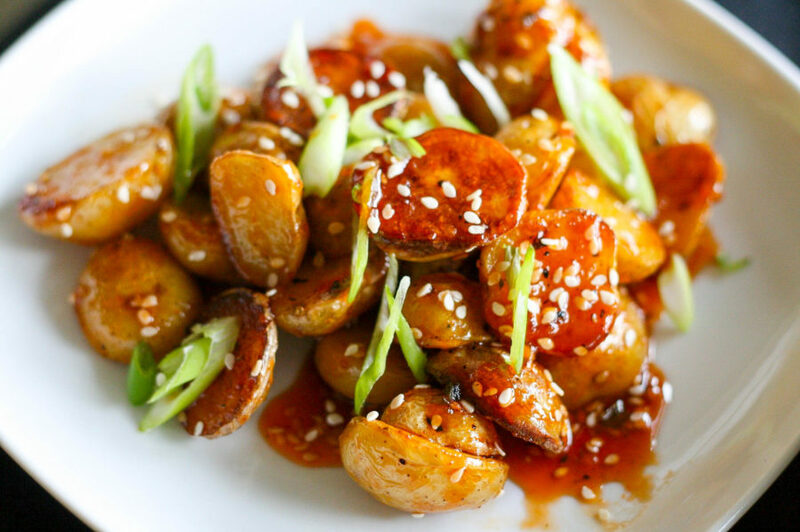 Garnish with the remaining sliced green onions and enjoy this saucy, sweet and spicy dish! 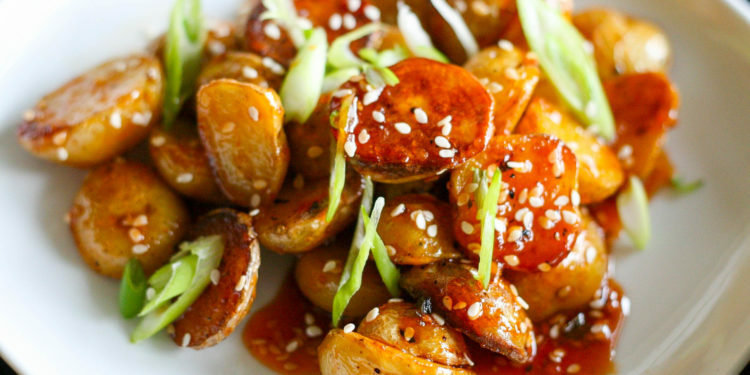 To keep this recipe gluten free, substitute gluten-free tamari for soy sauce. No time to make these tonight? Pin it for later!